Here are 4 basic Bourbon cocktails we love that are easy to make at home with minimal ingredients you can always keep on hand. Perfect the proportions of these drinks to impress your guests every time! I don’t pretend to be a bartender, mixologist, or what-have-you. Those men and women behind your favorite bar do an incredible job and deserve our respect, and tips. But sometimes you’ll be at home and in the mood for a Bourbon cocktail. Arm yourself with these simple yet satisfying recipes and you’ll never be left thirsty my friends! The Manhattan is far and away my favorite Bourbon cocktail to make at home. It’s simple, just four ingredients, delicious, and customizable. It keeps Bourbon, or the more traditional rye whiskey, front a center. Serve it “up” in a martini glass or on the rocks. This cocktail is traditionally made with a spicier rye whiskey or high-rye Bourbon. Our home bar is stocked with Bourbon and that’s where we’ll go with The Manhattan. I prefer to make the “Perfect Manhattan” which is made with a 50/50 mix of sweet vermouth and dry vermouth. I always start with the smallest ingredient and work to the largest, a tip I learned many years ago to naturally blend ingredients with minimal stirring/shaking. Add a few dashes of bitters. Add 2 oz Bourbon or Rye, stir. Top with skewered Maraschino Cherries. TIP: Refrigerate Vermouth to maintain its freshness as long as possible. Replace the traditional Angostura bitters with your favorite bitters. I swap in Angostura Orange or an excellent barrel aged Cherry bitter from Woodford Reserve that we have on the bar. There are a lot of craft bitters out there to explore. Don’t forget the cherries. Spring for Luxardo Maraschino Cherries if you can. The Matchbox bar in Chicago soaks their cherries in brandy for an extra kick. You can do the same at home! For this Manhattan we’ll use Woodford Reserve for its signature rich and spicy oak-forward flavor profile and respectable 90 proof. For the sweeter palate try an Old Fashioned. 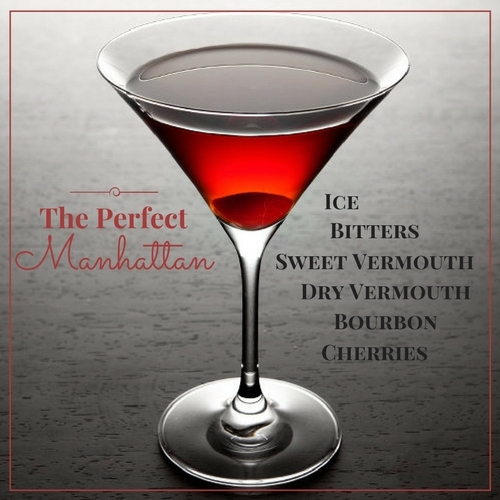 Just as easy to create as The Manhattan and equally as tasty. Place a small lump or cube of sugar in an Old Fashioned glass. Add a few dashes of water, Angostura bitters, 1 Maraschino Cherry, orange slice or peel. Muddle ingredients in the glass with muddler or spoon. Remove orange peel from glass. Add 2 oz Bourbon and ice, stir. Garnish with Maraschino Cherry and orange peel. If you don’t have an orange on-hand try Angostura Orange Bitters which will keep on your bar much longer than fresh fruit. 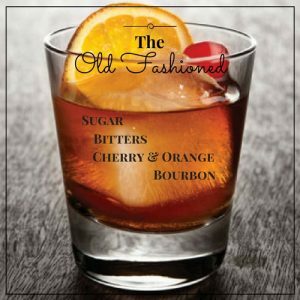 For our Old Fashioned we used the new Redemption Wheated Bourbon. New to the Chicago market this month! Made from a mashbill of 51% corn, 45% winter wheat, and 4% malted barley. Bottled at 96 proof. The mashbill and proof make this a perfectly sippable high wheat Bourbon with a nutty palate and nice warm finish. 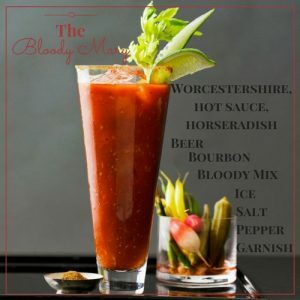 Bloody Mary’s can be delicious. Guarantee it by replacing the vodka with Bourbon! Pickup your favorite Bloody Mary mix and all the fixins, check out our recipe below for some tips. Grab a large pint glass. Add several dashes Worcestershire, hot sauce, and horseradish. 1 oz Stout beer and stir. Bloody Mary Mix to 2 inches below top of glass. Add ice to fill glass. Top with a dusting of celery salt and cracked black pepper. For this Bloody Mary we’re going with Old Forester 1920 Prohibition Style. 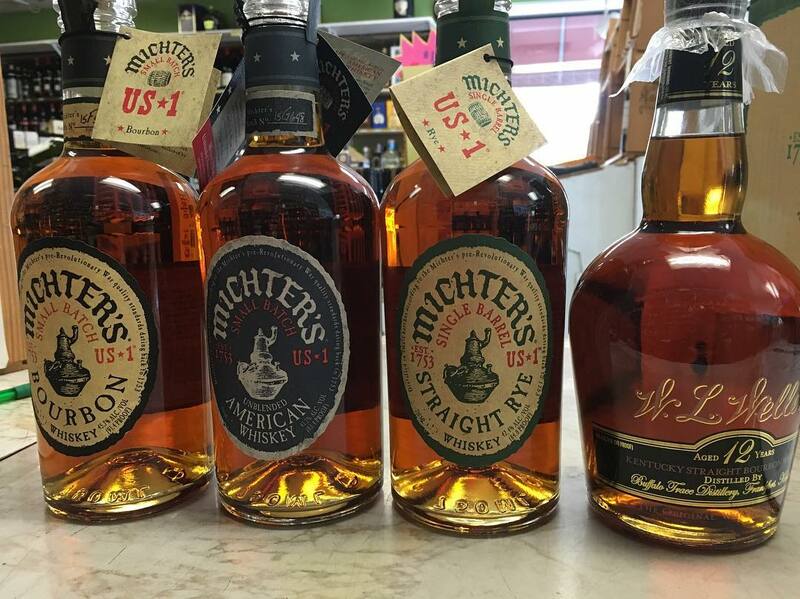 The “Whiskey Row” series has quickly become one of our favorite new Bourbon lineups. This Bourbon drinks incredibly well on its own and holds up well in a cocktail with its 115 proof! When all else fails, or if you have a special bottle you refuse to mix, this last one is for you. 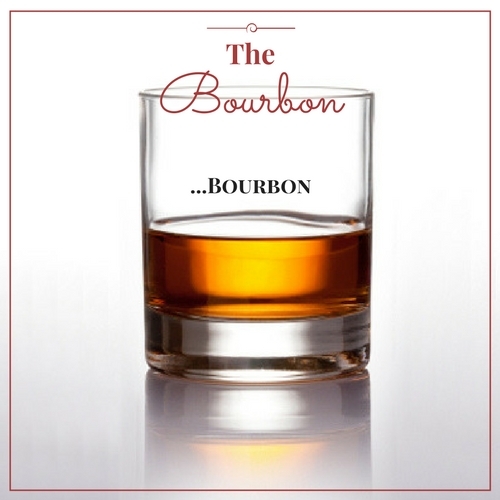 Pour that Bourbon directly into your glass and drink. Add ice or a bit of water if that’s your thing. We’ve been digging this clear ice-cube tray from Rabbit. Inexpensive, easy to use, and actually does create clear ice that practically disappears in a glass of Bourbon. Pick your favorite Bourbon from the shelf for this drink and let us know what you’re drinking in the comments below! What Kind of Bourbon Buyer Are You? Next post What Is Wheated Bourbon?